Friendly Societies began in New South Wales to address the need for funds for medical treatment, hospitalisation and funeral benefits for the free working class. 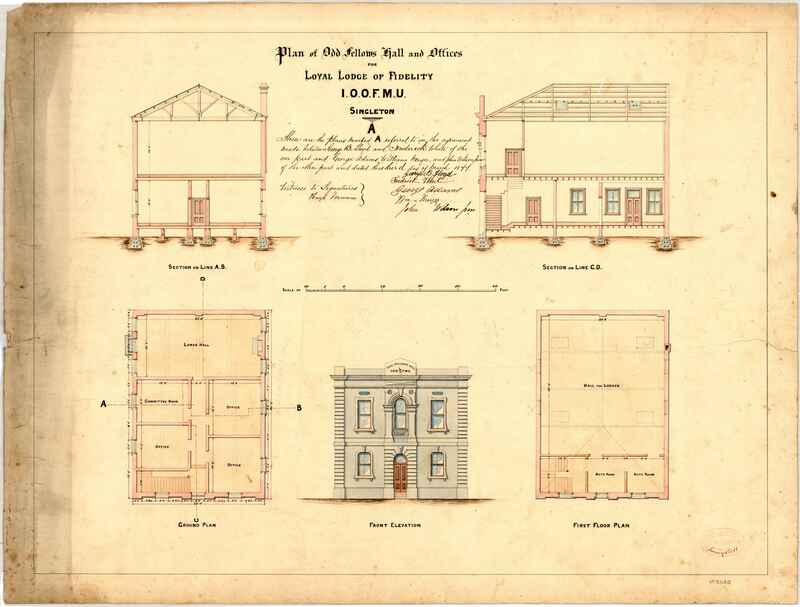 Convict hospitals operated until 1848 providing free treatment for convicts, and charitable institutions such as the Benevolent Society and the Dispensary, located in Sydney, offered free treatment for labourers as long as a letter of recommendation from a subscriber was provided. In the late 1830s payment was required for medical treatment. T. Cowlishaw, a leading figure of the Australian Union Benefit Society commented in 1838 that a tradesman or labourer who became disabled or sick would be better off in England "as he would be assisted by his Parish, which is not the case here" (Nichol 22-24). 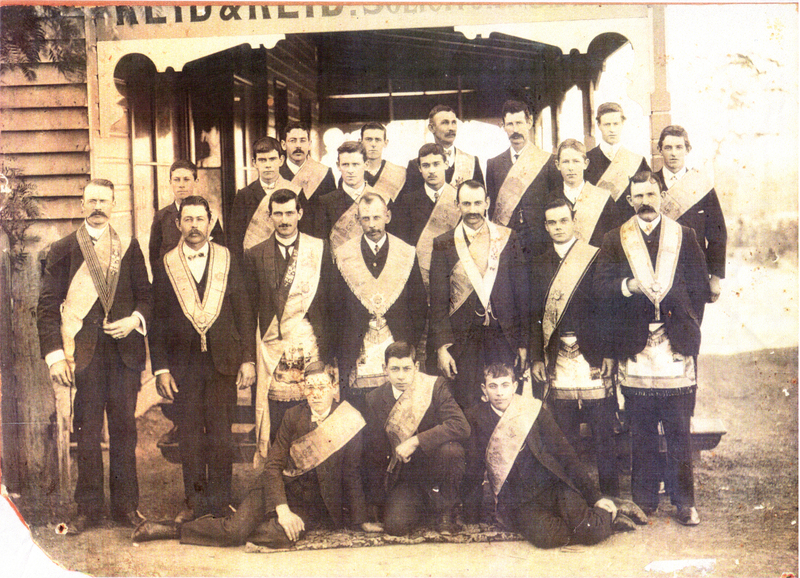 At least forty-six Friendly Societies were established in New South Wales in the later part of the 19th century. The first in New South Wales was 'The Female Friendly Society of the Town of Sydney' established in 1826 by Eliza Darling, wife of Governor Darling. The Society was open to females "of good character, between the ages of fourteen and fifty". The second Friendly Society was established in 1834, it was called the 'Trades Union Benefit Society' which was changed shortly afterwards to the 'Australian Trades Union Benefit Society' and was based on the Operative Masons' Benefit Society of London with allowances for sickness benefits, medical attendance and funeral expenses. The Sydney ship and boat builders formed their own 'club' in 1829 which was registered as a Trade Society called 'The United Friends' two years later. 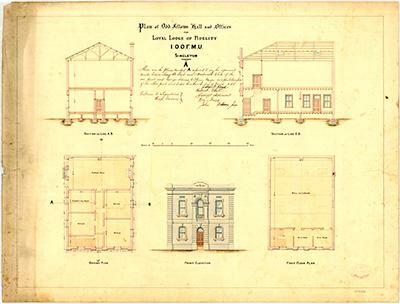 It was the first Trade Society in NSW. In 1835 the carpenters and joiners established the 'Sydney Joiners' Benefit Society' which provided funeral benefits as well as replacement of tools of trade (Nichol 28-33). Societies were also formed by the housepainters, slaters and shinglers, stonemasons, nailers, bakers, butchers, weavers, spinners and warpers. However some operated more like Trade Unions than Friendly Societies. Members of the Constabulary were required to attend all public meetings but the Societies were able to overcome this by holding meetings in public houses. In 1843 the Friendly Societies Act was passed which encouraged "the formation of societies which had, as their objective, the provision of relief to members or nominees in sickness, advanced age, widowhood or any other natural state or contingency whereof the occurrence is susceptible of calculation by way of average". The act excluded secret societies and trade societies (Nichol 30-33). 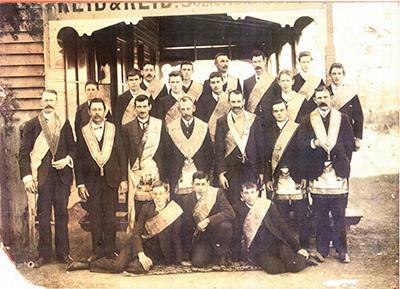 Among the early Friendly Societies were the Maitland Union Benefit Society which began in 1840, and affiliated societies such as the Australian Grand Lodge of the Independent Order of Odd Fellows which started in 1836, the United Ancient Order of Druids in 1846, the Independent Order of Rechabites in 1842, and the Ancient Order of Foresters in 1845 (Nichol 36-37). In 1945 The Rechabites Friendly Society was the largest Friendly Society in Cessnock, with a membership of two hundred and twenty-nine. Membership of Friendly Societies declined during The Depression of the 1930s due to unemployment which made it impossible for many members to keep up payments, members also left the district in search of work (Walker 102). Many of the Masonic Lodges and Friendly Societies were the forerunners of the present Health Funds, Insurance Companies and Building Societies. For example, the Manchester Unity Health Fund grew directly from the Manchester Unity Independent Order of Odd Fellows which became an affiliated Friendly Society in 1846 and in 1980 diversified, providing not only health insurance but also savings funds (I.O.O.F. History). Green, D. & Cromwell, L. Mutual Aid or Welfare State: Australia's Friendly Societies. Sydney, Allen & Unwin, 1984. Print. Nichol, W. Medicine and the Labour Movement in New South Wales, 1788-1850. Labour History, No. 49, 1985:19-37. Print. Walker, Alan. Coaltown A Social Survey of Cessnock NSW. Victoria: Melbourne University Press. 1945. Print.